Not only does the BF2.3 pack enough punch to push a boat out to sea, it's light enough to be carried back to the car! 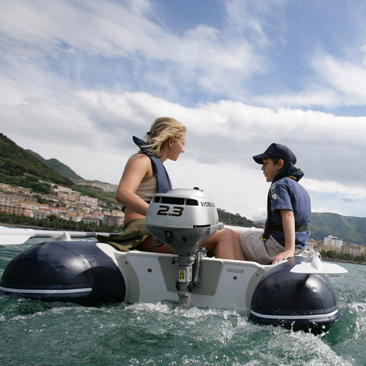 Thanks to the ergonomic carry handle fitted to each engine, the BF2.3 can be taken virtually anywhere.Despite the engine's size, the BF2.3 boasts all the benefits of Honda's advanced four-stroke technology, which is second to none.The BF2.3 is the lightest 2.3hp four-stroke available - even lighter than most two-stroke outboards! 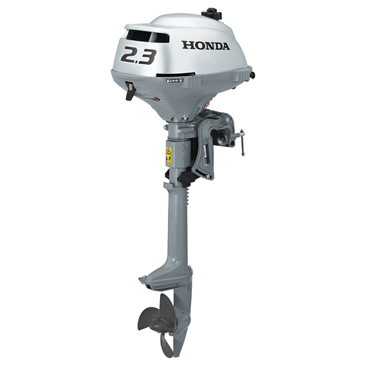 The Honda BF2.3 comes standard with a centrifugal clutch. As a result, the engine is able to maintain a smooth idle and automatically engage the prop above idle speed when the throttle is advanced. It's like having a neutral position. 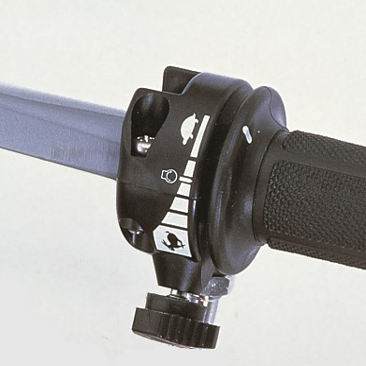 A twist grip throttle also allows for precise throttle control, and the throttle tensioner minimises driver fatigue. With an easy-to-maintain, compact design allowing for easy transportation and storage, these features mean you can spend less time worrying about your engine, and more enjoying the outdoors. 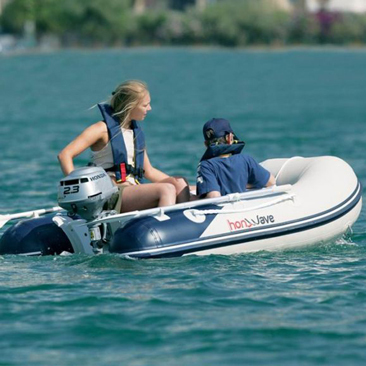 The ease of transporting the BF2.3 makes it perfect for inflatable boats like the Honwave, as well as small tenders and canoes.The engine provides excellent manoeuvrability in tight areas. There's more reverse thrust, meaning you can get to where you want to go faster! The BF2.3's Shallow Water Drive also allows you to run in shallow water and greatly reduces the risk of engine damage. A 1L integral fuel tank facilitates easy removal and portability as one unit. The vent is able to be closed during transport or for extended storage periods. The engine can run for up to 55 minutes at full throttle on a tank of fuel. It features the proven reliability and superior fuel efficiency of Honda's world-renowned four-stroke quality, and there's no oil mixing either. Take that, messy two-stroke competitors! The BF2.3 comes with a industry-leading 5 Year Warranty, and with 100 authorised Honda dealers around Australia, service and maintenance is a breeze!